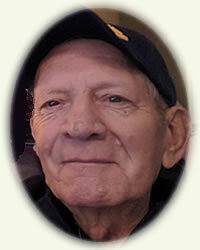 Obituary for Robert J. Wolcott, Sr. | Rhoney Funeral Home, Inc.
Robert J. Wolcott, Sr., of Sanborn, NY, passed away on Saturday, February 2, 2019, in Niagara Hospice House, Lockport, NY. He was born in Lockport, New York on June 20, 1941, a son of the late Earl W. and Winifred [Andalora] Wolcott. Mr. Wolcott graduated from Niagara Falls High School and was a supervisor at Great Lakes Container in Lockport for over 37 years before retiring in 2000. He was an active member of the First Congregational Church of Niagara Falls and enjoyed spending time with his family, playing euchre, poker and fishing. Mr. Wolcott is survived by three sons Robert J. , Scott A. E. (Jenna) and Shawn C. Wolcott, two daughters, Tori L. (Patrick) Brady and Nicole R. (Lucas) Zaffuto, five grandchildren Katherine, Vincent (Patty), Ryanne, Kymberlee (Matthew), Delilah, two great grandchildren Jackson and Cassielle, a brother Grant (Julie) Wolcott, a sister Dawn (Larry) Wine and his former wife Linda M. [Criswell] Wolcott, also survived by many nieces, nephews and cousins. He was the husband of the late Sharon L. [Creekmore] Wolcott and brother of the late Earl Wolcott and Sharon Bierley. His family will be present on Saturday from 12 - 3:00 PM at the RHONEY FUNERAL HOME 5893 Hoover Road, SANBORN, NY, where Funeral Services will follow at 3:00 PM. Memorials may be made in his name to Niagara Hospice or to the Heritage Christian Services.